During her teaching career it became clear that Libby Hikind’s calling would include grant funding. She went on to raise 11 million dollars for a Brooklyn school district. Libby Hikind is the founder, president and CEO of GrantWatch.com. Libby Hikind, national grants expert, began her career as a teacher in the New York City Department of Education, where she taught for nearly 30 years. During her teaching career, Libby wrote a number of grants for her classroom and later went on to raise 11 million dollars for a Brooklyn school district. While teaching in Staten Island, Libby continued to raise funds for the local elementary school and the community. This led her to establishing her own grant writing agency in 1994, and the 1999 to 2001 publication of NYC GrantWatch, a grants fax newsletter for nonprofit organizations. Libby is credited with more than 46,000 children receiving health insurance as a result of her coalition building of nonprofits and her writing of the first Staten Island Child Health Plus proposal. In 2010, after retiring from her teaching career Libby launched GrantWatch.com, the on-line resource for grants for nonprofits, government agencies, small businesses and individuals. GrantWatch is now the number one grants website in the funding industry. Libby is well known for her successful primary election campaign for New York’s City Council (2001) and The New York Times endorsement. After volunteering at Ground Zero, she gained recognition as a FEMA Project Liberty Team leader (following 9/11). Each month, approximately 80,000 people visit GrantWatch.com. Visitors to the site cover the broad spectrum of grant recipients, including hospitals, universities, schools, community based groups, neighborhood nonprofits and small businesses. Libby continues to move forward with her online plans for updating, re-designing and launching grants related websites for virtually every niche in the industry. • GrantWriterTeam.com: Libby’s second website, launched in 2013, matches grant seekers with highly skilled grant writers. In its first year of operation, more than 130 partnerships have been formed between grant seekers and grant writers. • Youhelp.com: This site will synergize crowdfunding with grant writing. The site will enable grant funds to be raised via the internet. 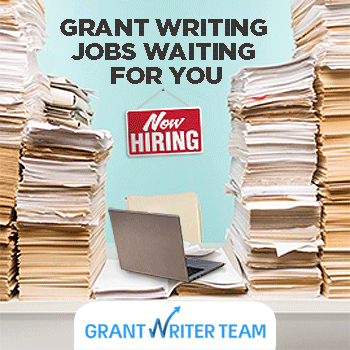 • GWI.education: This online training site will teach executive directors of non-profits, small business owners and skilled writers how to write grants. • GrantsNews.com: This website will offer late-breaking grant and fundraising news.